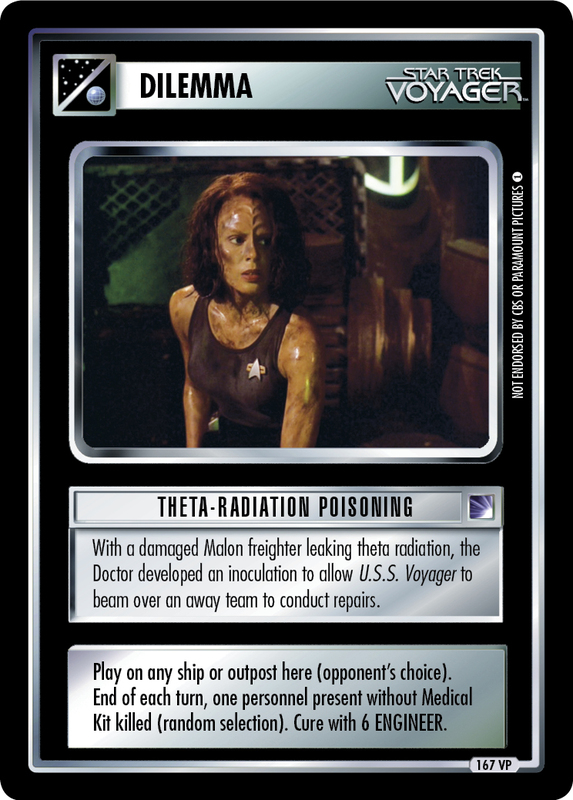 With a damaged Malon freighter leaking theta radiation, the Doctor developed an innoculation to allow U.S.S. 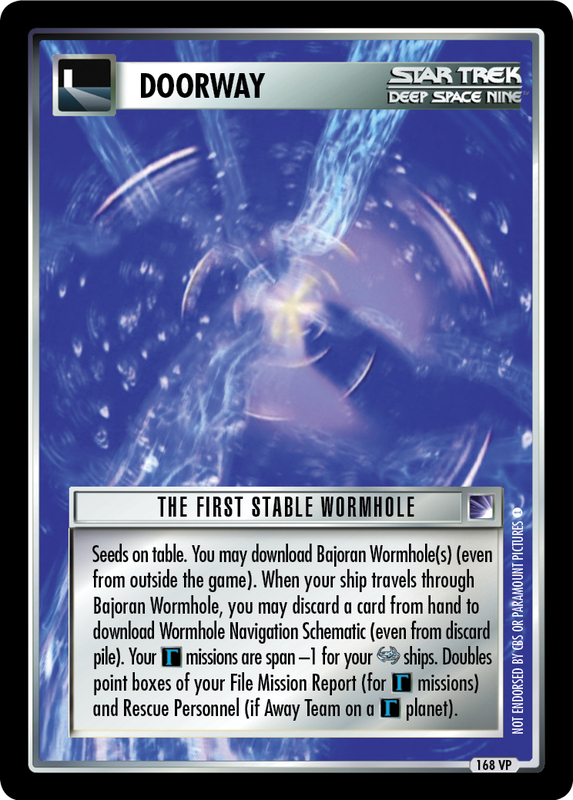 Voyager to beam over an away team to conduct repairs. 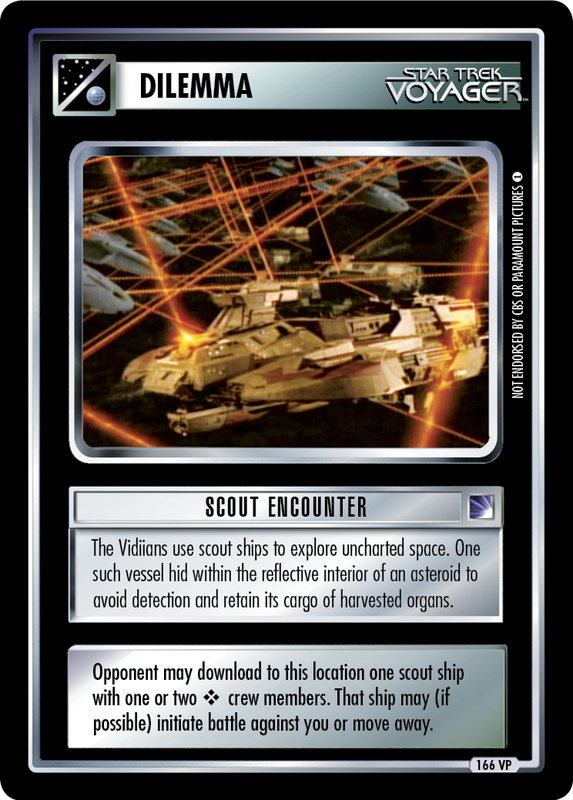 Play on any ship or outpost here (opponent's choice). End of each turn, one personnel present without Medical Kit killed (random selection). Cure with 6 ENGINEER.